In a statement, Col. Onyema Nwachukwu, Deputy Director, Army Public Relations, Operation LAFIYA DOLE, reported the Theater Commander, Maj.-Gen. Benson Akinroluyo, as disclosing that the insurgents deceived people by voluntarily returning cattle, hitherto rustled from the owners in the northeast. 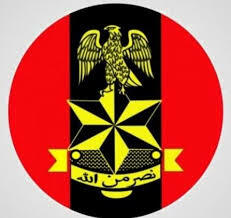 Nwachukwu disclosed that the Commander raised the alarm while addressing troops of Sector 2 during a three-day operational tour conducted between Jan. 31 and February 2. “The army has uncovered the employment of deception by Boko Haram terrorists to win the confidence and support of locals in the North East. Nwachukwu described the gimmick as dangerous ploy, stressing that the trend must be checked to avoid escalation. He tasked the troops to prevent any form of cattle rustling by the insurgents, noting that the they now used it as a means of psychological warfare to make the locals see them in positive light and be receptive to their ideology. The commander also called on community and opinion leaders to educate members of their communities on the development. “You must be vigilant and not fall for the antics of the terrorists; cattle rustling has earlier been identified as a means of raising funds for Boko Haram terrorists. The army therefore, called on the youth not to shun the insurgents’ propaganda and not to be persuaded to join the group, describing them as enemy of the people. According to him, the military authorities accords priority to address operational challenges and improvement of the troops’ welfare.